Talk Less won his second Virginia-Bred/Sired Flat Race this spring. Photo by Douglas Lees. Talk Less won the $2,000 Virginia-Bred/Sired Flat for the second time in three weeks on Saturday. The 5 year old Blame gelding, who was bred by Mrs. C. Oliver Iselin III, came into the race with $75,000 in earnings. 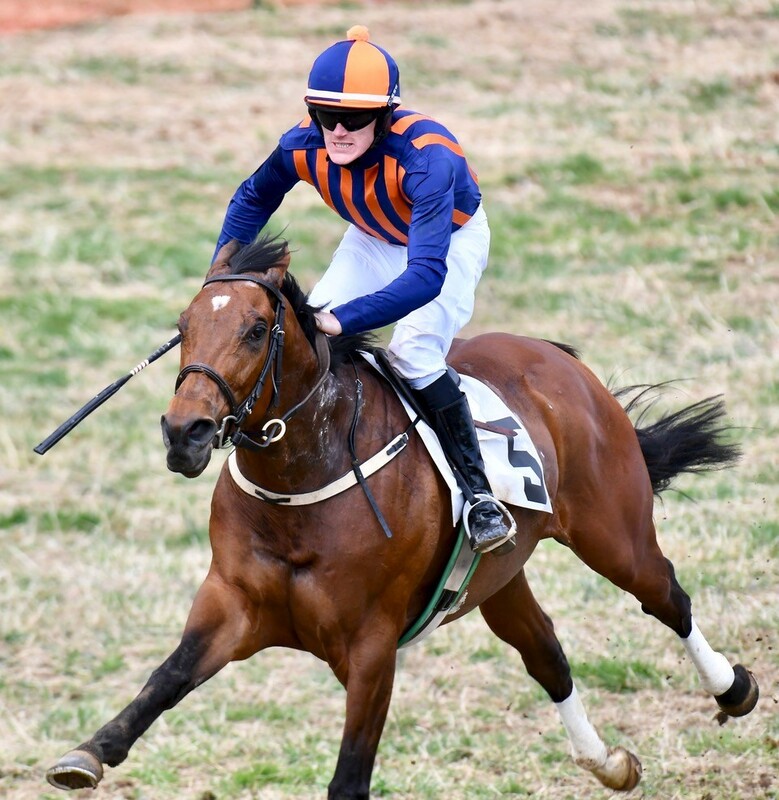 He also won March 23rd at the Piedmont Fox Hounds Point-to-Point and kicked off the spring season with a third in the Warrenton Hunt Point-to-Point. Talk Less is out of the Afleet Alex mare, Aristra. Rider Eduardo Leiva was up. Foxhall Drive and rider Bryan Cullinane captured the Open Hurdle event. Photo by Douglas Lees. A total of nine races were contested at Ben Venue and rider Bryan Cullinane won five of them. Besides Talk Less, he scored with Apollo Landing in the Maiden Hurdle, Hyperlapse in the Novice Rider Flat, Foxhall Drive in the Open Hurdle, and Macnicholson in the Amateur & Novice Rider Timber in a walkover. 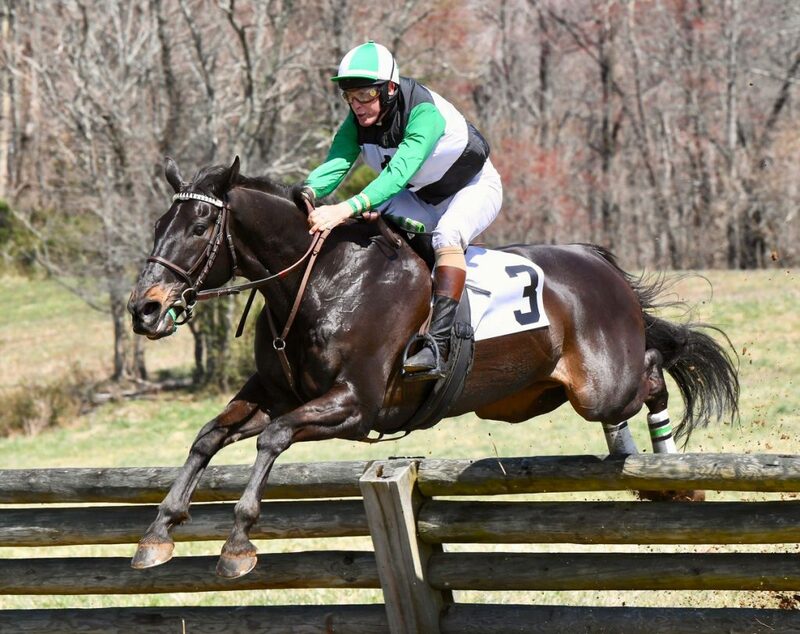 Ten participating horses, either owned or trained by a Virginian, earned a $200 starter reward courtesy of a new incentive program funded by the Virginia Equine Alliance (VEA). Through the first four weekends of the spring season, $17,800 in rewards have been paid out from competitions at Warrenton, Orange County, Piedmont and the Old Dominion Point-to-Points. 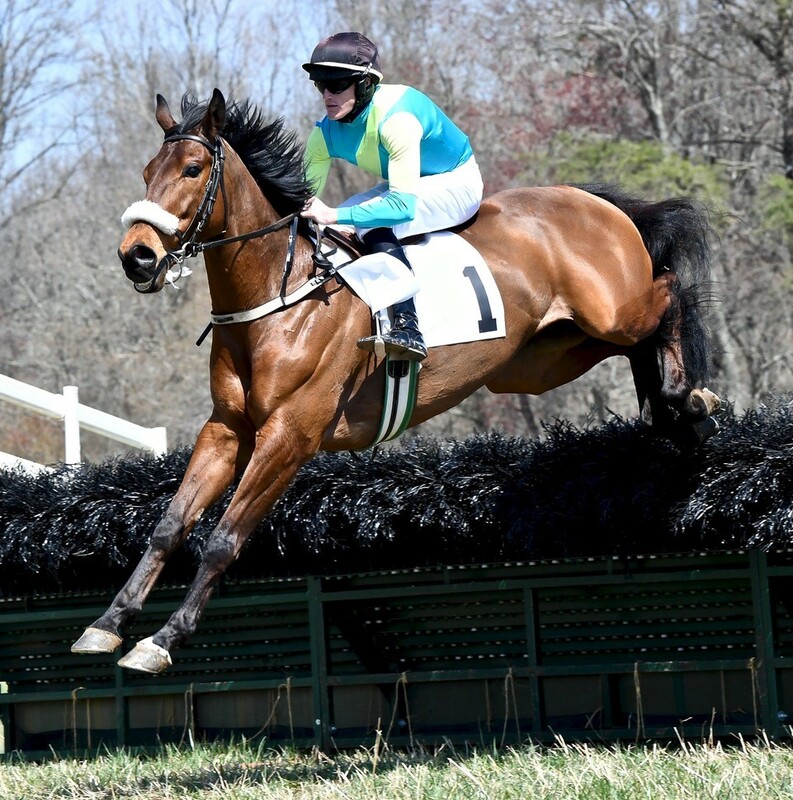 Southern Sail was one of ten horses to earn a starter reward at the Old Dominion Point-to-Point April 6th. Photo by Douglas Lees. Action for the fifth weekend shifts to the Oatlands Plantation in Leesburg this Sunday, April 14th. The first of two exhibition races begins at 12 Noon followed by a combination of seven flat, hurdle and timber events starting at 1:00 PM. The races have attracted big fields —- entries can be found at www.centralentryoffice.com.